Welcome foreigners!! This blog is a window to Spanish culture. Here you can find some interesting information about our country and our culture. Here we offer you some of the most popular national festivals. 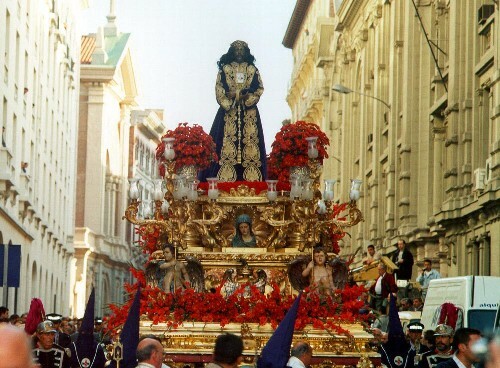 The biggest festivals of international fame are the bullrunning of Pamplona, the fireworks of Las Fallas in Valencia, the mock battles of Moros y Cristianos in Alcoy, Semana Santa in all of Andalucia and the massive Feria de Abril in Seville. Click on this link and have a look at the list of the festivals we have all over the country in every city, town and village. You can find a list of some the most famous ones by month. There is nothing more Spanish than jamón serrano. This country ham is a national treasure shared in Spain by all walks of life. 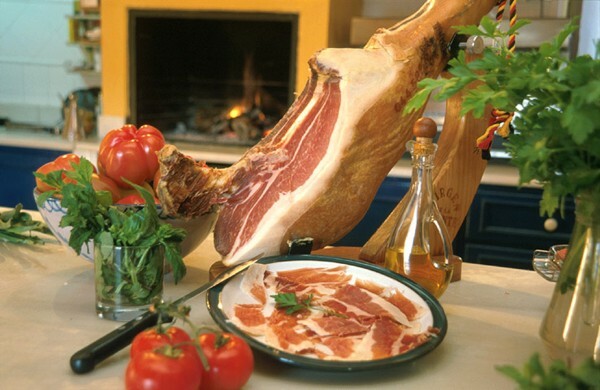 Cured for at least a year, it has a much deeper flavor firmer texture than its closest relateive, Italian prosciutto. Serve as a 'Tapa' with cheese and olives, or in your favorite Spanish recipe. Spain is one of the few places you can get something for free, as there are many bars where you get a bit of food with every drink you buy. This is the name given to a wide variety of appetizers or snacks in Spanish cuisine. 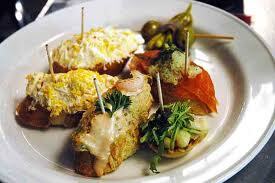 Spanish tapas is at the very heart of their lifestyle and culture. Everywhere you go in Spain you will find lively and noisy bars serving small plates of superb flavours and local delicacies. It is essentially a style of eating rather than a form of cooking. Tapas means sociability, friends and family. The Spanish in general won't drink without eating something as well. A very typical Spanish expressions related to this is " ir de tapas" o "ir de pinchos", which consists of going from one bar to the next and enjoying a different ""tapa" in each until you have essentially had your meal. Flamenco is a genuine Spanish art, and to be more exact a genuine Southern Spanish art. It is an art form of music and dancing. The dancing is very expressive and each part of the body may move in a coordinated way. Flamenco shows are common in Andalucia with daily performances. We have also what we call "Tablaos Flamencos". “Tablaos” are clubs dedicated to Flamenco dance and song. They are the best places to see a unique flamenco performance that will captivate the audience. In flamenco, heartfelt song, accompanying guitar, rhythmic tap-dance and clapping, all come together with the dance of great artists, who often appear anonymously. You will notice how you are unconsciously infected by the emotion and feeling that this musical genre transmits. “Tablaos” tend to be decorated in a typically Spanish way, with embroidered silk shawls, photographs of famous people, bullfighting clothes and capes. 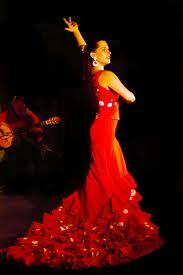 There are many flamenco clubs in Spain, although they are most frequently found in Andalusia. At a “tablao” you can have a drink, sample some tapas, or even dine on some full-blown Spanish cuisine. You cannot miss one of these shows. This is a traditional spectacle of Spain in which some bulls are baited in a bullring. This tradition involves professional “toreros” who execute various formal moves which can be interpreted and innovated according to the bullfighter's style or school. 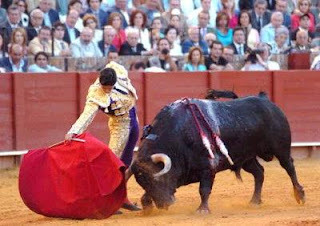 The bullfight usually concludes with the killing of the bull by a single sword thrust which is called “estocada”. 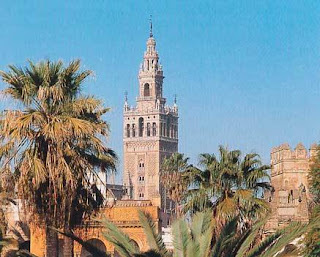 In this section you will find some interesting sites that cannot be missed in a visit to Spain. 09.00 and 10.45 there are services on Sundays where there is free entrance to Cathedral only. General Entrance Ticket: 8 €. Reduced Price Entry: 4 €. Free entry: Children under 10 years old. There is no charge for the entrance to the Patio de Los Naranjos which is a large outer courtyard where you can rest from the Cordoba sun before entering inside the other sections of the mosque. The entrance tickets are sold from a kiosk here. 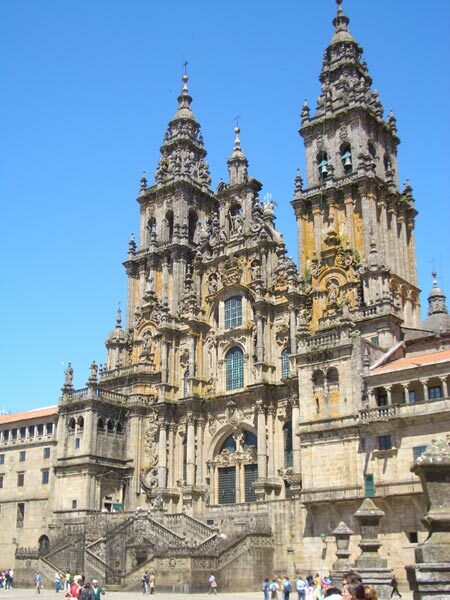 Santiago de Compostela Cathedral is a Roman Catholic cathedral of Santiago de Compostela en Galicia. The cathedral is the reputed burial-place of Saint James the Greater, one of the apostles of Jesus Christ. It is the destination of the “Way of Santiago” , that is, a pilgrimage route. 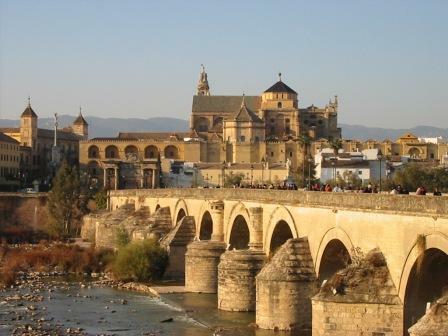 Many people do this pilgrimage route every year, even people coming from other countries. Monday – Saturday from 11.00am to 13.00 and from 16.00 to 18.00; Sunday from 10.00 to 13.30 and from 16.00 to 19.00. 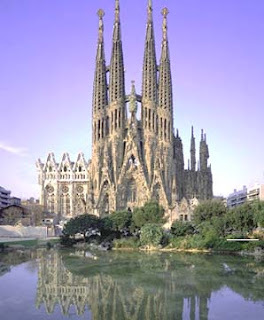 The Sagrada Familia is a large Roman Catholic Church that you can see in Barcelona. This church was designed by the catalan architect Antoni Gaudi who devoted most of his life to this project. Although incomplete, the church is a UNESCO World Heritage Site, and in November 2010 was consecrated and proclaimed a minor basilica by Pope Benedict XVI. This building is the number one most visited attraction in Barcelona catering to over 2,000,000 visitors per year. 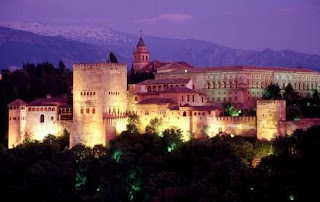 The Alhambra is a beautiful complex of buildings and gardens. Its leafy tree-lined walkways provide pleasant shade and coolness, enhances by the abundance of water that flows in its streams. The Palace premises are made up of beautiful rectangular courtyards and numerous fountains. The courtyard of the Lions with its fountains is one of the most beautiful in the compound. The Cathedral of Seville is a world wonder. 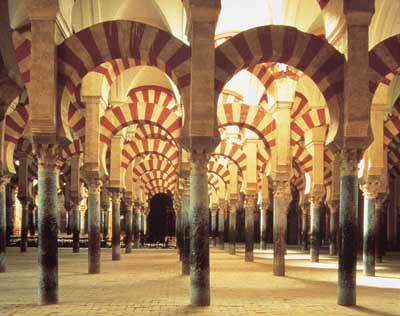 It is the largest cathedral in Spain and the third largest in the entire world. If one made comparisons solely by the interior air volume, this cathedral might be the largest in the world. July and August: Monday to Saturday from 9.30a.m to 4.30pm. ; Sunday from 2.30am to 6.30 pm. September – June: Monday to Saturday from 11.00am. to 5.30pm; Sunday from 2.30am to 6.30 pm. 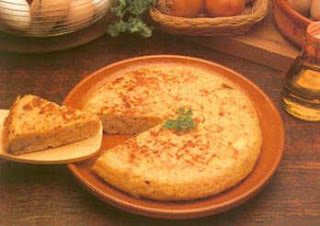 One of the most attractive things about Spain is gastronomy. Spanish cuisine is known because of its traditional use of olive oil instead of vegetal fat as well as the big variety of fruits and vegetables used in our traditional cuisine. Spanish Food is included in the Mediterranean diet that is so popular these days, which has passed from generation to generation. Therefore, Spanish food contains a wide variety of fresh fruits and vegetables, grains and nuts, a huge selection fish from the Atlantic and Mediterranean, as well as red meat and pork. Drain the beans, add fresh water to just cover and bring to the boil. Add the saffron, morcilla, chorizo and bacon to the pot along with the bay leaf. Cover and cook for 15 minutes, skim off any froth then turn down the heat and simmer gently for 2 - 3 hours until the beans are tender. Shake the pan occasionally and add a little water if necessary to keep the beans just covered or they will split. 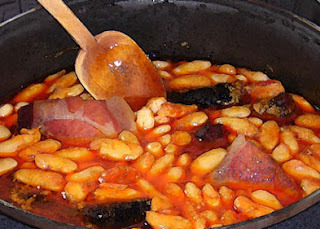 When the beans are tender, turn off the heat and leave them to rest for 10 minutes. Serves 4. Put the tomatoes, pepper, cucumber, garlic, bread and oil into a liquidizer.When the mixture is ready put it in a sieve to drain small pieces. Then, start diluting it by adding some water. Add also the vinegar and salt according to convenience. 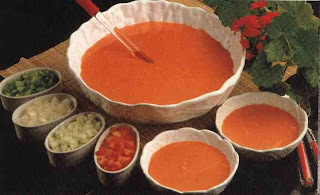 Serve the gazpacho in soup bowls with portions of diced tomatoes, pepper, cucumber, onion, croutons, Serrano ham and hardboiled egg on the table, so that everyone can add them to their bowl as they prefer. Gazpacho is a summer dish meant to hydrate and cool down your body. So the colder the better! Wash and cut the potatoes into thin slices. Heat the oil in the pan, and add the potatoes and salt. Fry, stirring occasionally. As soon as they are golden colour, remove from the pan and put the potatoe mixtures either in a sieve or on kitchen paper, so that as much oil as possible drains away or is absorbed. Beat the eggs well with a pinch of salt, and add to the potatoes. Mix well.Put two small spoonfuls of olive oil in the frying pan, so that the bottom of the pan is covered with a thin layer of oil. Once the oil is hot, add the potato and egg mixture. Tip: shake the pan gently as you move the mixture, so that none sticks to the bottom. Once the omelette seems to be cooked, use the lid of the frying pan (or a large plate) to tip the the omelette out of the pan, add a little more oil and slide the omelette in again, this time putting the less cooked side first into the pan. If you need to repeat this step, so that the omelette is perfectly cooked and golden on both sides, you may do so. This omelette is delicious hot or cold. We have prepared for you some of the most typical Spanish expressions. This must be funny for you because we have made literal translations into English. Y un pimiento! - And a pepper! Have you ever noticed that we are always talking very loud? Don't worry. We are not angry with you nor we think you are deaf. We are like hi-fi-units with a broken volume control, you just cannot turn us off. So here is our advice to you: You better be careful in Spain, because once you feel comfortable with the language you might just end up shouting and gesturing worse than any Spaniard ever could.